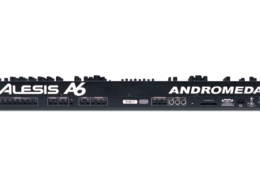 The Alesis Andromeda A6 is a 16 voice multi-timbral analog synthesizer. 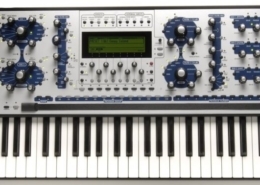 The Andromeda A6 is a true analog synthesizer with full MIDI implementation and is 16-channel multi-timbral. 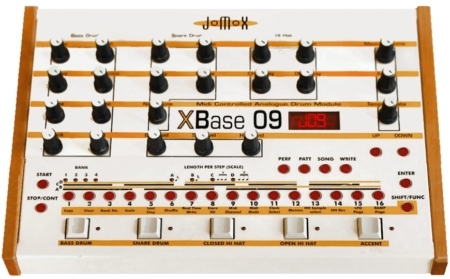 Each voice has 2 oscillators, 2 resonating filters, hard and soft sync, and a sub-oscillator. Of the 2 voltage controlled filters, filter 1 is a dynamic 2-pole low-pass, high-pass, band-pass and notch, while filter 2 is a 4-pole low-pass. The Andromeda also has a full-spectrum analog noise generator capable of producing white, pink and red noise, and a total of 16 ring modulators (1 per voice). 3 external inputs can route an audio signal through its internal filters. The oscillators and filters can be controlled by a CV (control voltage) input on the rear panel. The A6 keyboard is semi-weighted with velocity, release velocity and after-touch. There is a ribbon controller that stretches three full octaves across the face of the keyboard that allows multiple assignable functions. The backlit high-resolution LCD window displays parameter values including time, frequency, and BPM. 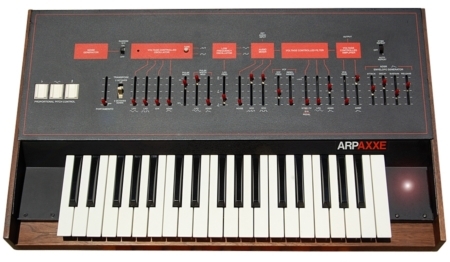 The Andromeda also features a built-in arpeggiator and analog-style sequencer with MIDI sync. 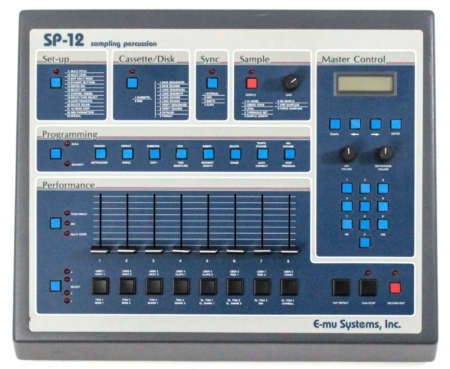 The studio quality digital effects include reverb, chorus, echo, and a built-in analog distortion circuit. 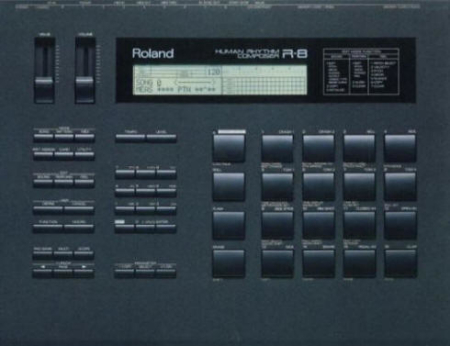 The A6 has 256 preset and 128 user-defined programs with a PCMCIA memory card slot for additional programs and mixes. 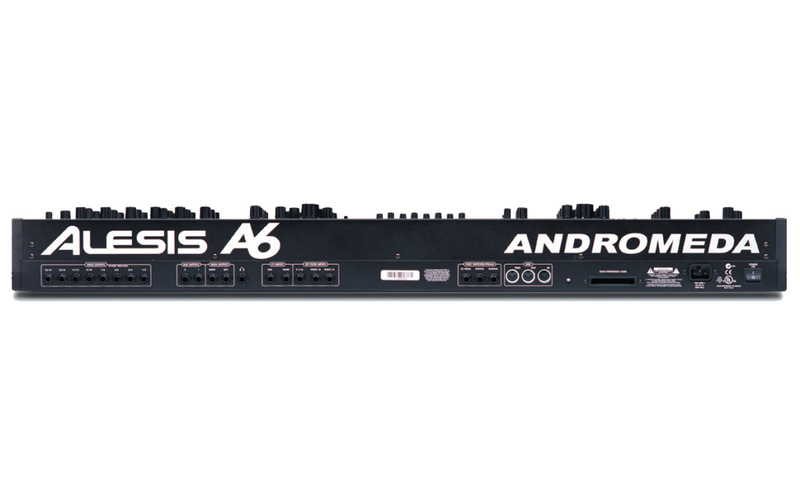 The Andromeda A6 was first released in 2000 by Alesis Studio Electronics of U.S.A.